House perched on the Cliff-edge Overlooking The Sea designed by K studio. 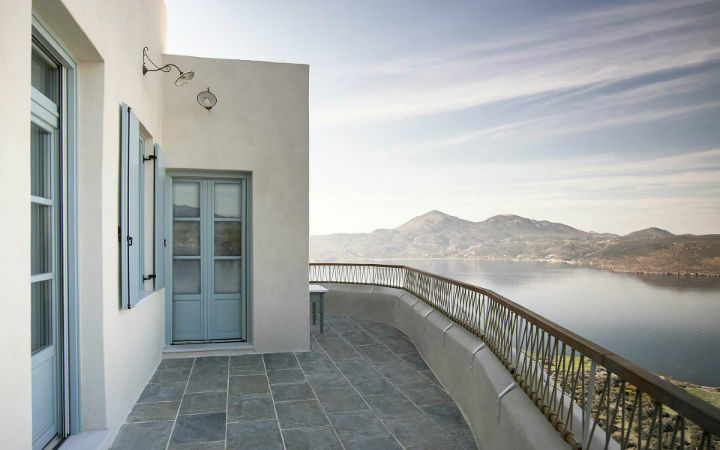 Perched on the cliff edge in Plaka, the main town on the Greek island of Milos, this 19th century house has been carefully restored to provide a London-based family with an authentically traditional yet practical summer retreat. Originally built in 1813, the house is effectively a 200-year-old stone organism. Unlike more recent building styles, it is not made up of separate elements, almost every part has been constructed in stone. We were keen to respect this organism, leaving the 60cm thick walls untouched and performing a very precise and deliberate surgery on the building with minimal intervention. We removed more recent structural additions to revive the original intention of the design and all new elements have been constructed with traditional techniques using locally sourced materials. Restricted access due to the narrow streets within Plaka meant that these materials had to be carried by hand from the nearest road up through the village to the house. Originally the house was divided into 2 zones; the ground floor as the main living and entertaining space and the basement, dug out of the mountain rock, as storage and utility space. 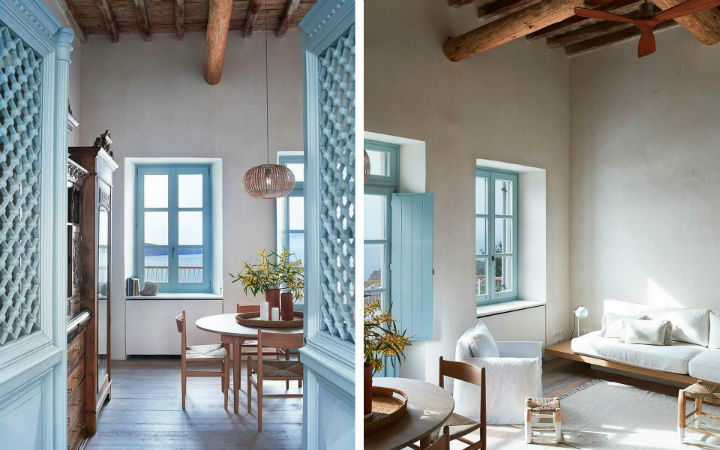 We wanted to preserve the contrasting characters of the 2 floors whilst re-distributing their programmatic use. 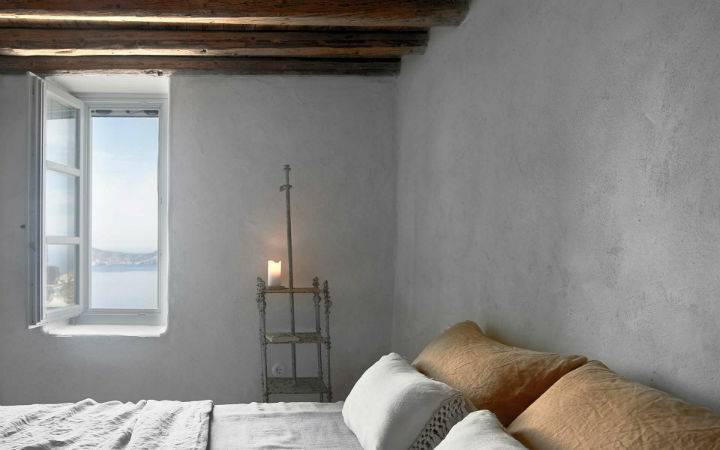 The cave-like lower level has become a quietly calming guest suite, separated and private yet just a few steps down from the main house. 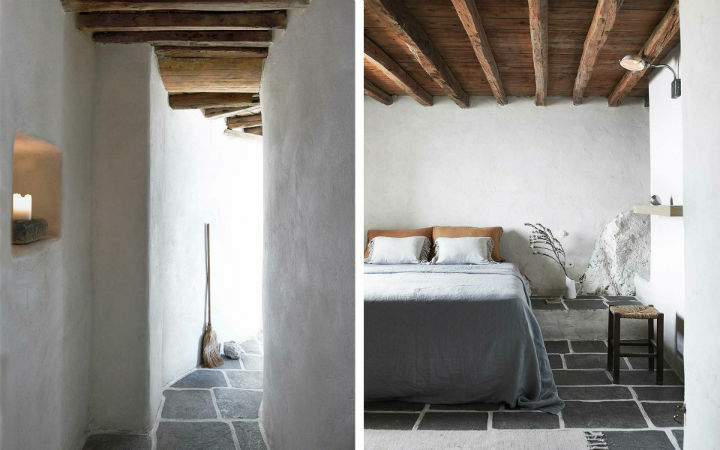 Walls are roughly finished, following the natural surface of the stone, the floor is laid with organically arranged slate stones and natural light is low due to the small openings and reduced ceiling height. The lofty, light-filled upper level has the main living areas within it, adjusted to suit modern family life. 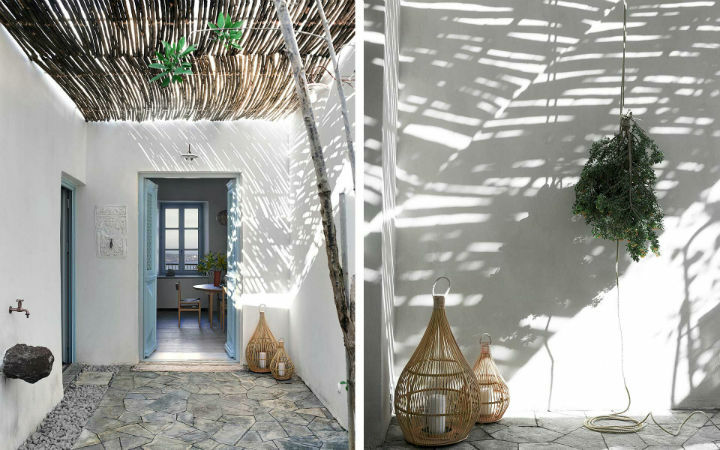 The entrance courtyard has been transformed with the removal of a 1990’s concrete slab ceiling and its replacement with an elegant bamboo pergola. We have added a shower, a sink and hanging for beach towels so that the space is now used as a post-beach ‘de-sanding zone’ before entering the main house. 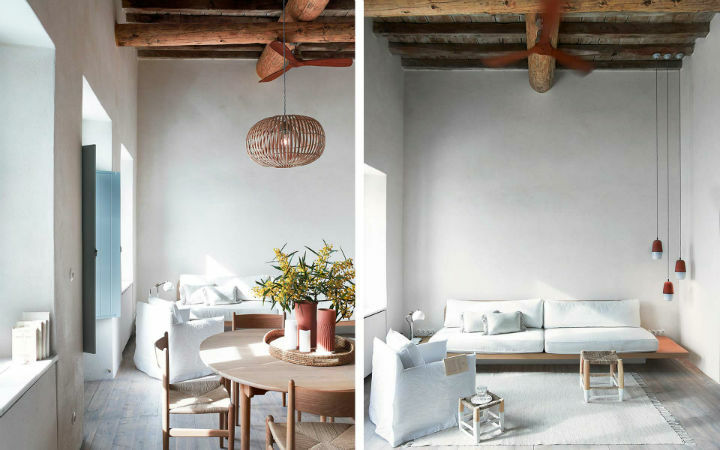 Inside simple, raw finishes provide cooling respite. Slate and timber flooring and unpainted walls allow the house to breathe and bespoke crafted furniture and fittings respect the local style whilst incorporating state of the art appliances and technology. This is particularly true of the kitchen, originally within a smaller room elsewhere it is now a large, professionally equipped yet traditionally designed space for everyday use as well as extended family gatherings. A new mezzanine in the children’s bedroom frees up useful play space and provides the opportunity for an en-suite bathroom and wardrobe whilst in the living room a new fireplace creates a focal point and helps transform the house into a welcoming, family home.